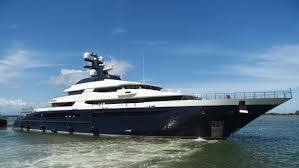 The recent release of the luxury superyacht, Equanimity, by the Indonesian government to Malaysia has raised issues concerning the billion dollar vessel’s ownership and title. The yacht was also one of the assets that the US Department of Justice (DOJ) wanted seized in connection with multi-billion dollar kleptocracy suit filed by the DOJ in 2016. Malaysia’s Attorney General said he would welcome a challenge to the arrest of the vessel by its notional owner, Low Taek Jho, as this would put Malaysia’s admiralty laws to the test and allow observers to guage the ability of the Admiralty Court (established in 2010) to resolve large international maritime disputes. That such a challenge would also constitute a submission to the jurisdiction of the Malaysian courts by the fugitive Low no doubt, also motivated the AG’s comments. The vessel is currently held at Port Klang under a warrant of arrest issued ex-parte. With the need for international comity and consistency on admiralty issues, the Admiralty Court is empowered with “the same jurisdiction and authority in relation to matters of admiralty as is for the time being exercisable by the High Court of Justice in England under the UK Supreme Court Act 1981”. It also enjoys an expanded jurisdiction over the types of cases that may be brought before it but significant amongst these is the power of the court to hear applications in connection with maritime arbitration which greatly promotes Malaysia’s position as an arbitral centre for shipping disputes. In the case of the Equanimity, the Plaintiff would no doubt find the Court’s maritime jurisdiction to deal with “any claim to the possession or ownership of a ship or to the ownership of any share therein” and “any disputes arising from the sale and purchase of ships”, useful. That jurisdiction also applies in relation to “all ships whether Malaysian or not and whether registered or not and wherever the residence or domicile of their owners may be. The Equanimity is registered in the Cayman Islands.